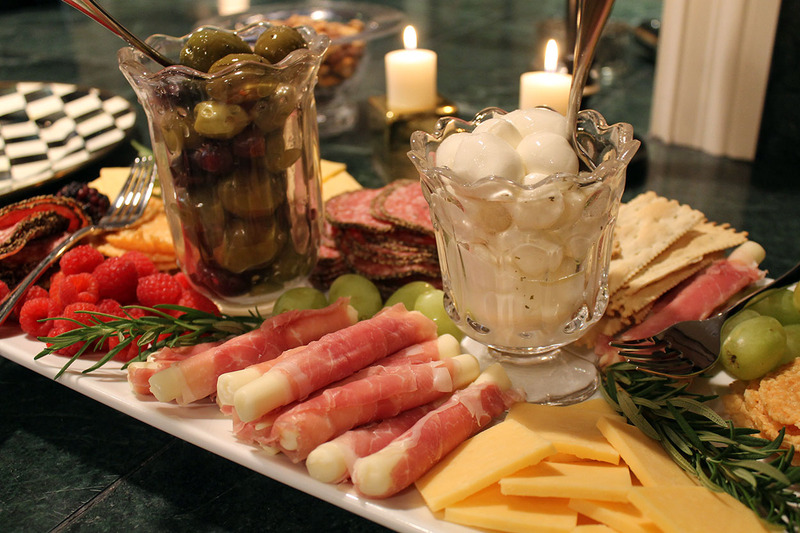 The holidays are approaching…and at some point, most people will be entertaining friends and family in their homes! It may be a seven course Thanksgiving dinner or a simple holiday cocktail party. 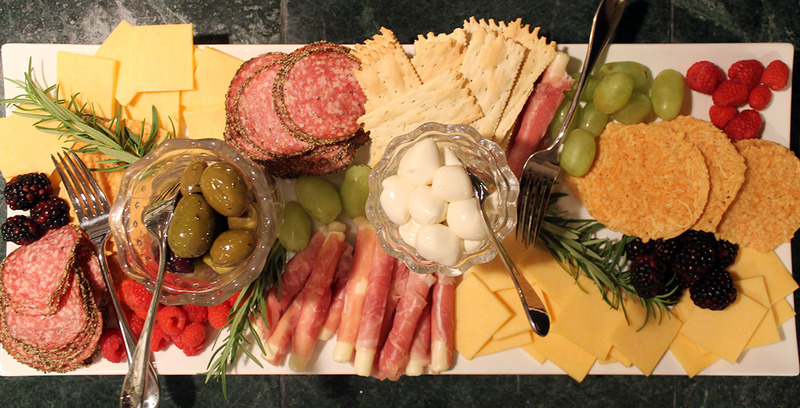 Whatever the occasion, it is always a good idea to serve a charcuterie and cheese plate to your guests as they mingle and socialize. I’m sharing some tips on one that I recently put together…but really there are no rules, just serve what looks and tastes good to you. Use a mixture of cured meats (salami, prosciutto, sausages, etc). 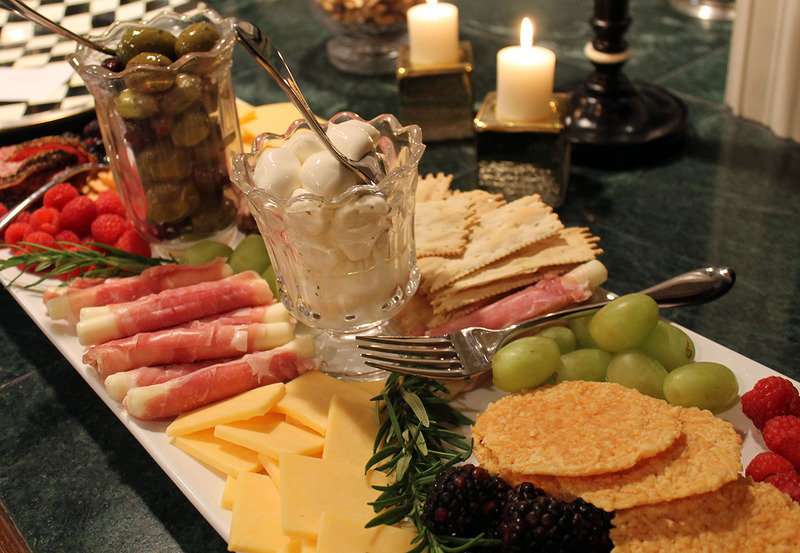 Make sure you have a variety of cheeses, both soft and hard (fresh mozzarella, baked parmesan, havarti, etc). I actually left the Brie that I had purchased for this one off the plate…oops! Add some fruit for sweetness (raspberries, grapes, blackberries). Make sure you have a combination of flavors (sweet and salty) and textures (creamy and crunchy). A colorful plate of food is appealing to the eye. 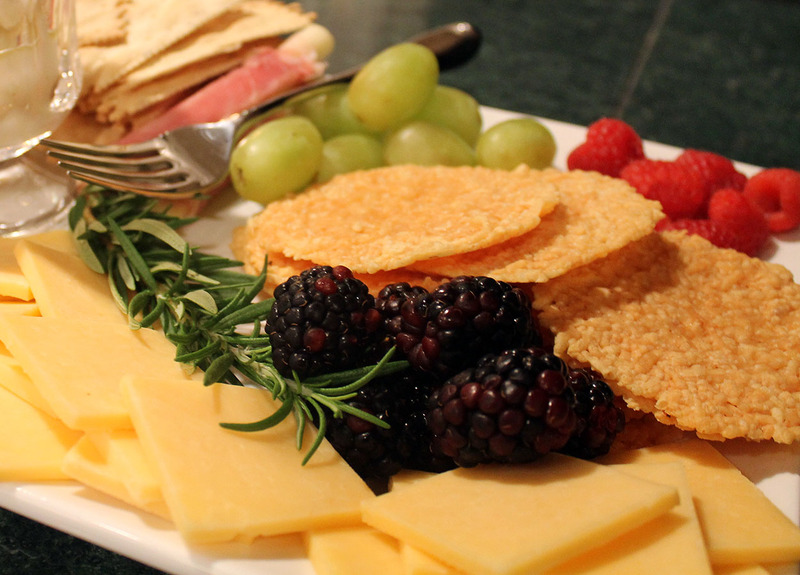 Garnish with some edible greens or herbs…I used sprigs of rosemary for this one. Elevate some of the food by using tall, narrow bowls or candy dishes. Once it’s put together, set it out for your guests. They will choose the parts of it that appeal to them…and by the end of the evening, you will most likely have an empty plate! This is what I’ll put out for Thanksgiving! Thanks for the idea. Just hope I can make it as pretty as yours.